Ryoko Aoki graduated from the Faculty of Music at the Tokyo University of the Arts with coursework in Japanese Noh theatre (Kanze school). She obtained a Master of Music from the Tokyo University of the Arts Graduate School. Currently, she has researched “Women and Noh” on her PhD at the University of London, School of Oriental and African Studies. She has played several traditional Noh plays, and she has also challenged collaborations with contemporary composers as a Noh singer. She has worked with Peter Eötvös, Toshio Hosokawa, Joji Yuasa, Toshi Ichiyanagi amongst others. She was invited to perform at ZKM, Wissenschaftskolleg in Berlin, Freie University Berlin, the University of Bonn, Conservatoire National Supérieur de Musique et de Danse de Paris, Villa Medici, Istituto Giapponese di Cultura in Rome, Tokyo International Performing Arts Festival, Kyoto International Performing Arts Festival, ART COMPLEX produced by Kanagawa Arts Foundation, Takefu International Music Festival in Japan. 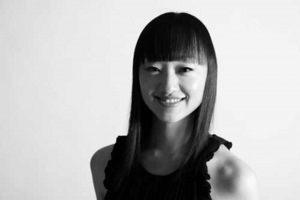 She performed Noh dance in “Xenakis and Japan” produced by Electronic Music Foundation in NYC in 2010. She had a concert with the Münchener Kammerorchester at the Münchener Kammerspiele in 2011. She also had performances in Radialsystem V in Berlin during Asia-Pacific Weeks and gave Noh workshops for Sasha Waltz and Guests in 2011. She performed Peter Eötvös's Harakiri with ensemble Alter Ego in Rome in 2011. She performed Cage and Hosokawa's pieces with the Arditti String Quartet as part of their Japan tour in 2012. In 2013, she made her debut at Teatro Real de Madrid as the role of Malinche in Wolfgang Rihm's opera The Conquest of Mexico, which was organised by Gerard Mortier. 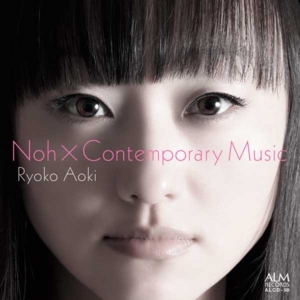 She has organised her project “Noh×Contemporary Music” to commission new pieces from 2010. Born in Koriyama City, Fukushima Prefecture, Kazushi Saito studied flute at the Tokyo University of the Arts High School and later at its University and its Graduate School. In 2001, he was awarded fourth prize at the 5th Kobe International Competition and first prize at the 70th Japan Music Competition (also Kato Prize and E. Nakamichi Prize). 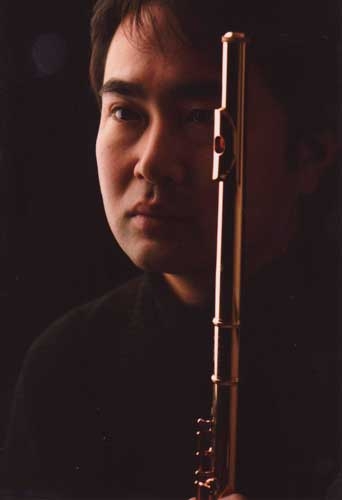 He won first prize at the 4th Biwa-ko International Flute Competition in 1999. He has studied with Paul Meisen, Shokoku Kim, Yumiko Sakuma, Tomomi Nakagawa, Tomio Nakano, Akiko Mikami and Narumi Yamazaki. Saito is currently principal flute of the Tokyo Philharmonic Orchestra, as well as member of NOZZLES and The Flute Quartet. He is also the associate director of the contemporary music ensemble Tokyo Sinfonietta. At the 68th Japan Music Competition in 1999, he was awarded a special jury prize for his performance in the composition final. In 2006, he was the recipient of the Arion-Edo Foundation Encouragement Award. He teaches at Tokyo National University of the Arts, Kunitachi College of Music and Senzoku Gakuen College of Music. 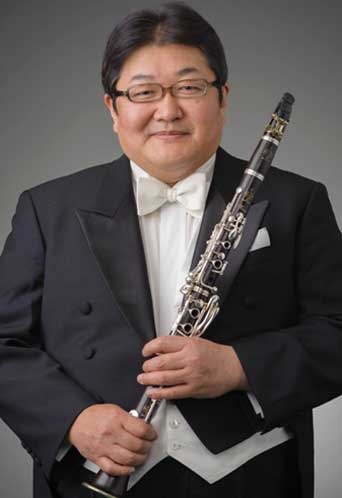 Takashi Yamane studied clarinet at the Kunitachi College of Music, Royal Conservatoire of Antwerp and Royal Conservatoire of Liège. After a period as clarinettist of the Ictus Ensemble in Brussels, he is currently clarinettist of the NHK Symphony Orchestra. He also teaches at Showa University of Music, Senzoku Gakuen College of Music and at the annual Akiyoshidai International Seminar. Born in Kanagawa Prefecture, Satoshi Takeshima studied percussion at the Tokyo National University of the Arts. While still a student, he won second prize at the 13th Japan Wind and Percussion Competition. As well as being a leading percussionist in the classical music field, he is also active as pianist and composer/arranger. He shows commitment in all his musical activities and is a highly trusted musician. 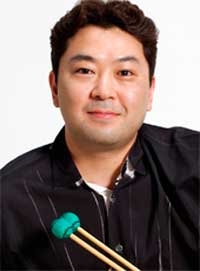 Currently he is percussionist of the NHK Symphony Orchestra and teaches at Senzoku Gakuen College of Music. He is also member of Percussion Unit “UNZARI”, chamber orchestra ARCUS and Nagisa Brass Solisten. As a soloist, he has performed with orchestras including the NHK Symphony Orchestra and the Tokyo Philharmonic Orchestra. In 2006, he initiated his own recital series “Satoshi Takeshima Sound garden”. Copyright 2011-2017 Kojima Recordings, Inc. All Rights Reserved.